Regular drenching with paraffin oil and epsom salts will help remove sand from your horses' gastrointestinal system. This should be done at least every 12 months in horses with high sand burden. We recommend drenching your horse at the break of the season once the grass is established. For more infomation see the Equine Dentistry section. Tetanus and Strangles: Primary vaccinations courses for these diseases can be started in foals from 12 weeks of age. The primary course for tetanus involves 2 injections 4 weeks apart, then a booster injection at 12 months. After this booster injection horses will be covered for tetanus for a period of 4-5 years. The primary course for strangles vaccination involves 3 injections 2 weeks apart then a booster 12 months later. Stangles booster vaccinations then need to be given every 12 months for ongoing protection. These vaccinations come in either seperate or 2-in-1 injections to reduce the number of injections required. Hendra Virus: Mt Barker Veterinary Hospital has accredited veterinarians to perform Hendra virus vaccinations. All horses receiving vaccination must be microchipped prior to commencement of the vaccination course. The course involves 2 vaccinations 3-4 weeks apart followed by 6 monthly boosters. These horses are then entered onto the national Hendra virus vaccination database. As horses age their health requirements change. At Mt Barker Veterinary Hospital we offer complete physical examinations, dental examinations and treatments, blood tests to assess organ function, and disease investigations (for diseases such as Cushings), to assess for conditions that can affect your geriatric. We can also assist in diet and management plans for the older horse. Horses should be worm drenched according to their paddock or stabling environment. 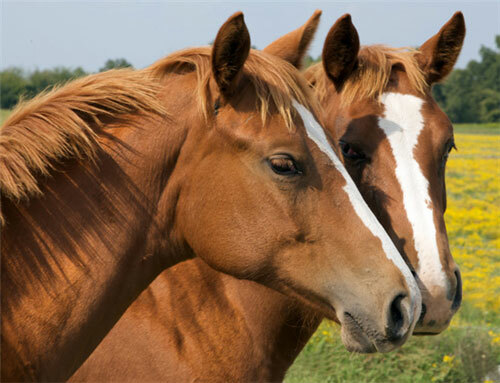 Most horses require worming every 6-8 or every 12 weeks depending on the wormer used. Foals can be wormed from 4 months of age with certain drenches. Always check that your worm drench is suitable for foals prior to use. If you think you may have a worm issue in your horses and want to assess the effectiveness of your drench we can perform worm egg counts to measure the levels of worm burden and response to treatment.